Spanish science transitioned from being a provincial swamp of ignorant nepotism under Franco’s fascist dictatorship to an elitist swamp of arrogant nepotism with a choke-hold on European and international research funds. Young researchers, who once returned from abroad to reform the country’s bogged-down scientific system, have grown into the provincial greedy power-clutching tyrants they have dethroned. Faculty jobs once given to family members, now go to loyal members of your scientific family. Another difference: the new science oligarchs are international and speak more languages than just the local Spanish dialect. Some are even foreigners, like the Italians Maria Pia Cosma, or the central character of this story, Andrea Cerutti. One bizarre relic which remained: the fundamentalist Catholic order Opus Dei still seems to have its hand in Spanish academia, as the recent affair around Carlos Lopez-Otin revealed (see this article and especially the comment section). In the 1980ies, one Spanish medical fraudster saved his career by joining Opus Dei, he even underwent exorcism to expel the devil which made him commit research misconduct. Who knows if this still happens. Many countries have a problem with cheaters in science, but in Spain those cheaters are celebrated, awarded with highest honours and biggest public and industrial grants. Spanish media seems to know its place and applauds each award to a dishonest data manipulator as if nothing was out of order. Lopez-Otin is back from his Paris exile to the University of Oviedo now, he wrote a book about his Passion, and he will very likely soon get the Princess of Asturias Prize he craves so much. The whole conspiracy farce around his 9 retractions, which culminated with an El Pais article showing Lopez-Otin with a 23-year-old progeria patient sitting on his lap wearing an Opus Dei crucifix, made one thing clear: any Spanish scientist opening their mouth about research integrity will be burnt at stake. Cancer and degenerative diseases are to be cured with massive investments into aggressive Photoshop fraud, Spanish elites of society have agreed. Pura Munoz-Canoves keeps rising despite or rather because of the manipulated data she published. Her recent honours: Lilly Foundation Preclinical Award, and a €500k grant from La Caixa bank. This year, Munoz-Canoves is speaker at ISSCR 2019 conference in June 2019. Maria Pia Cosma, whose papers were spared any proper investigations because her former mentor and coauthor Kim Nasmyth is just too important, also received a €500k La Caixa grant last year. EU Commission trusts her research so much, it gave Cosma in 2016 €1 million, a quarter of the budget of the Horizon 2020 CellViewer project. Manel Esteller not only survived the fraud affair of his PhD student Sonia Melo undamaged, he was even recently appointed as director of Josep Carreras Leukaemia Institute. Melo herself has been whitewashed in Portugal and given a fresh grant from Astra Zeneca. 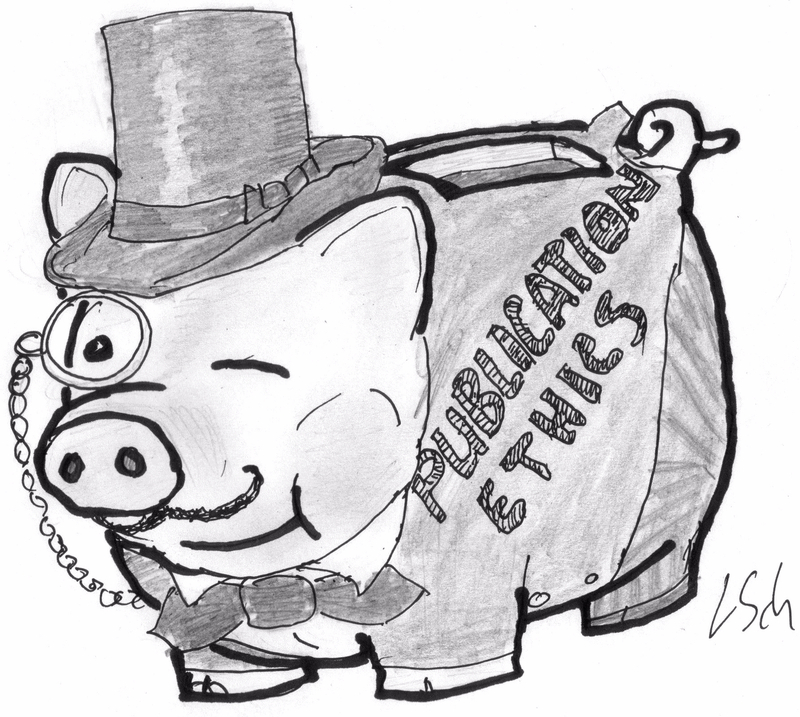 Antonio Garcia de Herreros, a colleague of Cerutti at IMIM in Barcelona, still receives funding money from the Spanish government, despite his massive PubPeer record and 4 retractions for fraud. Recently, certain French and Spanish newspapers established that I am a German racist, a terrorist, and a harasser of women in science, further facts in that regard were extensively elaborated on Twitter. In this regard, I will bring here a story about an Italian haematology and immunology researcher, Andrea Cerutti*, who holds transatlantic labs at Institut Hospital del Mar d’Investigacions Mèdiques (IMIM) in Barcelona, Spain, and at Icahn School of Medicine at Mount Sinai, New York, USA. Until recently, Cerutti used to swim in grant money, from 2011 to 2016 the Mount Sinai lab received from NIH $5 million for 4 projects, while the Barcelona lab frolicked from 2012 to 2017 in the €2.2 million ERC grant. 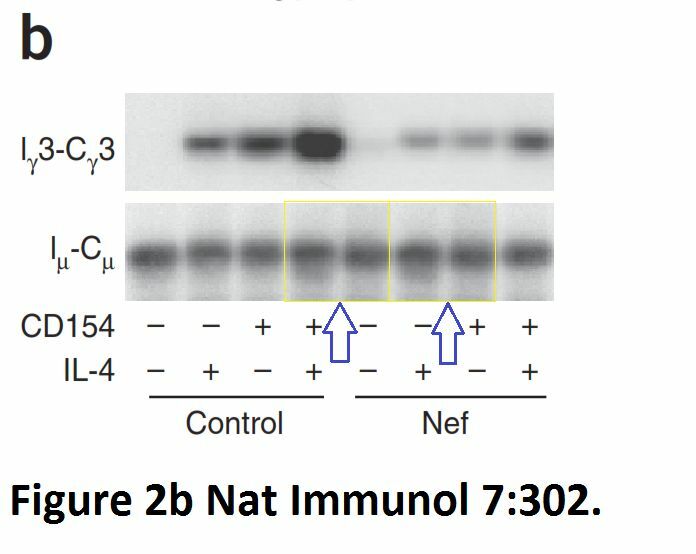 I was alerted to the Cerutti case by the pseudonymous image integrity sleuth Clare Francis, who found recent irregularities in Cerutti’s papers, next to the already impressive PubPeer record. Like this, in Sintes et al Nature Communications 2017: it shares gel bands with a four year older paper from Cerutti lab in New York, Romberg et al J Clinical Investigation 2013. It is strange why same old blot from 2013 was rearranged so creatively in 2017, with same bands standing in for such diverse samples. Some might say, it was merely a loading control, but I personally feel those are kind of important and should not be faked. But again, others on Twitter proved me wrong, especially in this case. It is not like Cerutti stopped doing those naughty deeds once a successful academic career was fully established. It’s like with alcoholics, the temptation for recidivism is too strong and lurking everywhere. There are also these collaborative papers by Cerutti where same flow cytometry file appears twice. Examples are here, a paper from Cerutti’s collaborators at Karolinska Institutet in Stockholm, Sweden (Gutzeit et al J Immunology 2014) and at Icahn School of Medicine (Garcia-Carmona et al Frontiers in Immunology 2018). Duplicated flow cytometry (FACS) plots are labelled with colour squares. This might have been an honest mistake of oversight, but how come the quantified numbers are different? This means either the authors did it to obscure similarities, or they secretly changed measurement gates on each file to get the results they wanted (like Sonia Melo proudly admitted to having done). Neither constitutes good scientific practice. Cerutti actually published something similar with Casali before, guess where: Xu et al J Immunology 2008. There is more material on PubPeer, but in Spain, its serves as a badge of honour, if anything. *Andrea is a male name in Italy, but I don’t want to spoil the “harasser of women in STEM” story told about me online and offline. Also, I don’t want to miss the precious irony of Andrea Cerutti being possibly defended as a MeToo victim of harassment. At first this was a difficult one, but after a while people “got their eye in”. Blood. 2007 Jan 15;109(2):729-39. Epub 2006 Sep 7. Hodgkin lymphoma cells express TACI and BCMA receptors and generate survival and proliferation signals in response to BAFF and APRIL. Chiu A1, Xu W, He B, Dillon SR, Gross JA, Sievers E, Qiao X, Santini P, Hyjek E, Lee JW, Cesarman E, Chadburn A, Knowles DM, Cerutti A. Department of Pathology and Laboratory Medicine, Weill Medical College, Cornell University, 1300 York Ave, Rm C-410, New York, NY 10021, USA. Co-author on Blood. 2007 Jan 15;109(2):729-39, Ethel Cesarman, has another porblematic paper in Blood. Some say that mirror images don’t matter, but then does any of it matter? Transformation of primary human endothelial cells by Kaposi’s sarcoma-associated herpesvirus. Flore O1, Rafii S, Ely S, O’Leary JJ, Hyjek EM, Cesarman E.
Department of Pathology, Cornell University Medical College, New York, New York 10021, USA. Is it churlish to mention? Transcriptional downregulation of ORF50/Rta by methotrexate inhibits the switch of Kaposi’s sarcoma-associated herpesvirus/human herpesvirus 8 from latency to lytic replication. 2Istituto di Microbiologia, Università Cattolica del Sacro Cuore, Rome, Italy. “Icahn School of Medicine at Mount Sinai, New York, USA”. Isn’t Andrea Cerutti going with the flow? Community standards? Cancer Res. 2007 Jun 15;67(12):5747-53. Androgen-induced Wnt signaling in preosteoblasts promotes the growth of MDA-PCa-2b human prostate cancer cells. Liu XH1, Kirschenbaum A, Yao S, Liu G, Aaronson SA, Levine AC. Department of Medicine, Mount Sinai School of Medicine, New York, New York 10029, USA. Andrea Cerutti’s works is not out of place with the above. Same institute at Mount Sinai (Immunology Institute). J Biol Chem. 2006 Apr 14;281(15):10073-80. Epub 2006 Feb 16. IRF-8/interferon (IFN) consensus sequence-binding protein is involved in Toll-like receptor (TLR) signaling and contributes to the cross-talk between TLR and IFN-gamma signaling pathways. Zhao J1, Kong HJ, Li H, Huang B, Yang M, Zhu C, Bogunovic M, Zheng F, Mayer L, Ozato K, Unkeless J, Xiong H.
Immunobiology Center, Mount Sinai School of Medicine, 1 Gustave L. Levy Place, New York, NY 10029, USA. Parts of figure 4 are a reincarnation. Another lovely piece of work, but with the senior author of J Biol Chem. 2006 Apr 14;281(15):10073-80 as first author. J Biol Chem. 2005 Jun 24;280(25):23531-9. Epub 2005 Apr 18. Ubiquitin-dependent degradation of interferon regulatory factor-8 mediated by Cbl down-regulates interleukin-12 expression. Xiong H1, Li H, Kong HJ, Chen Y, Zhao J, Xiong S, Huang B, Gu H, Mayer L, Ozato K, Unkeless JC. Immunobiology Center, Mount Sinai School of Medicine, New York, New York 10029, USA. To bring H Xiong’s J Biol Chem tally up to 3. J Biol Chem. 2009 Sep 4;284(36):24006-16. doi: 10.1074/jbc.M109.025528. Epub 2009 Jul 10. AP-1 activated by toll-like receptors regulates expression of IL-23 p19. Liu W1, Ouyang X, Yang J, Liu J, Li Q, Gu Y, Fukata M, Lin T, He JC, Abreu M, Unkeless JC, Mayer L, Xiong H.
Immunology Institute, Mount Sinai School of Medicine, New York, New York 10029-6574, USA. which is 40 blocks, about 2 miles (3 km) down the road. Weill Cornell Medical College breast cancer expert. How come the governance of the Weill Cornell Medical College never noticed any of the problematic data? Cancer Discov. 2012 Apr;2(4):356-65. doi: 10.1158/2159-8290.CD-11-0241. Epub 2012 Jan 27. Increased levels of COX-2 and prostaglandin E2 contribute to elevated aromatase expression in inflamed breast tissue of obese women. Subbaramaiah K1, Morris PG, Zhou XK, Morrow M, Du B, Giri D, Kopelovich L, Hudis CA, Dannenberg AJ. Department of Medicine, Weill Cornell Medical College, New York, New York 10065, USA. Cancer Prev Res (Phila). 2012 Oct;5(10):1183-94. doi: 10.1158/1940-6207.CAPR-12-0201. Epub 2012 Jul 10. Pioglitazone, a PPARγ agonist, suppresses CYP19 transcription: evidence for involvement of 15-hydroxyprostaglandin dehydrogenase and BRCA1. Subbaramaiah K1, Howe LR, Zhou XK, Yang P, Hudis CA, Kopelovich L, Dannenberg AJ. Department of Medicine, Weill Cornell Cancer Center, New York, NY 10065, USA. IFN-gamma suppresses IL-10 production and synergizes with TLR2 by regulating GSK3 and CREB/AP-1 proteins. Hu X1, Paik PK, Chen J, Yarilina A, Kockeritz L, Lu TT, Woodgett JR, Ivashkiv LB. Arthritis and Tissue Degeneration Program, Hospital for Special Surgery, Weill Graduate School of Medical Sciences of Cornell University, New York, New York 10021, USA. How to explain the same data appearing in another journal the previous year? J Immunol. 2003 Nov 15;171(10):5034-41. Reprogramming of IL-10 activity and signaling by IFN-gamma. Herrero C1, Hu X, Li WP, Samuels S, Sharif MN, Kotenko S, Ivashkiv LB. Department of Medicine, Hospital for Special Surgery, Weill Graduate School of Medical Sciences of Cornell University, New York, NY 10021, USA. How to explain the duplication in this paper? J Immunol. 2008 Jun 15;180(12):8057-65. IFN-gamma and STAT1 arrest monocyte migration and modulate RAC/CDC42 pathways. Hu Y1, Hu X, Boumsell L, Ivashkiv LB. How to eplain the same data appearing in 3 papers? states: “He [Andrew J. Dannenberg, MD] has authored more than 150 scientific articles”. Has anybody in the Breast Cancer Research Foundation (Pink Ribbon) ever looked at any of these more than 150 scientific articles, and if so which ones?”. Ann N Y Acad Sci. 2006 Apr;1068:225-33. Interactive effect of interleukin-6 and prostaglandin E2 on osteoclastogenesis via the OPG/RANKL/RANK system. Liu XH1, Kirschenbaum A, Yao S, Levine AC. Department of Medicine, Box 1055, Mount Sinai School of Medicine, New York, NY 10029. Ann N Y Acad Sci. 2007 Nov;1116:423-31. Epub 2007 Jul 23. Androgens promote preosteoblast differentiation via activation of the canonical Wnt signaling pathway. Department of Medicine, Mount Sinai School of Medicine, New York, NY 10029, USA. J Neurotrauma. 2017 Jun 15;34(12):2069-2074. doi: 10.1089/neu.2016.4763. Epub 2017 Feb 27. Spinal Cord Injury Leads to Hyperoxidation and Nitrosylation of Skeletal Muscle Ryanodine Receptor-1 Associated with Upregulation of Nicotinamide Adenine Dinucleotide Phosphate Oxidase 4. Liu XH1,2, Harlow L1, Graham ZA1,2, Bauman WA1,2,3, Cardozo C1,2,3,4. 1 National Center for the Medical Consequences of Spinal Cord Injury, James J. Peter VA Medical Center , Bronx, New York. 2 Department of Medicine, Icahn School of Medicine at Mount Sinai , New York, New York. 3 Department of Rehabilitation Medicine, Icahn School of Medicine at Mount Sinai , New York, New York. 4 Department of Pharmacologic Science, Icahn School of Medicine at Mount Sinai , New York, New York. It is highly likely that some senior authors will claim that they were victoms of young weasels. The problem with that argument is that there was a ruling in Ohio in November 2018 thanks to the pugnaciousness of Carlo Croce. You have to kiss dear old Carlo on both cheeks for that. “Defendants include in this tally of “Dr. Croce’s papers” manuscripts reporting research that (a) did not take place in Dr. Croce’s lab or under his supervision, (b) do not contain any figures prepared by Dr. Croce or anyone under his supervision, (c) were not written by Dr. Croce or anyone under his supervision, and (d) for which he is identified only as a middle author…. The ruling in Ohio applies in New York State. The Behemoths of the the Corporate State, made fat by the public dole, Weill Cornell Medical College and the Icahn Medcial School at Mount Sinai, should be mindful of that ruling before trundling out their lawyers to defend the “reputations” of their faculty. How have these fat Behemoths failed to notice the problematic data? What do their research intergity officers, and their deans of reasearch actually do? Let these Behemoths be outraged by the true cause of the outrage, not by people pointing it out. Time they went on a diet. Part of the distinguished service. To be fair to Spain is the U.S.A. any better? Expression of Kaposi’s sarcoma-associated herpesvirus G protein-coupled receptor monocistronic and bicistronic transcripts in primary effusion lymphomas. Nador RG1, Milligan LL, Flore O, Wang X, Arvanitakis L, Knowles DM, Cesarman E.
Department of Pathology, Weill Medical College of Cornell University, New York, New York 10021, USA. 2016 correction for figure 5C. CDK inhibitor p18(INK4c) is required for the generation of functional plasma cells. Tourigny MR1, Ursini-Siegel J, Lee H, Toellner KM, Cunningham AF, Franklin DS, Ely S, Chen M, Qin XF, Xiong Y, MacLennan IC, Chen-Kiang S.
Department of Pathology, Weill Medical College of Cornell University, 1300 York Avenue, New York, NY 10021, USA. A novel orally active small molecule potently induces G1 arrest in primary myeloma cells and prevents tumor growth by specific inhibition of cyclin-dependent kinase 4/6. Baughn LB1, Di Liberto M, Wu K, Toogood PL, Louie T, Gottschalk R, Niesvizky R, Cho H, Ely S, Moore MA, Chen-Kiang S.
Data overlap between Cancer Res. 2006 Aug 1;66(15):7661-7.and Cancer Res. 2005 Dec 15;65(24):11345-5. Induction of cell cycle arrest and B cell terminal differentiation by CDK inhibitor p18(INK4c) and IL-6. Morse L1, Chen D, Franklin D, Xiong Y, Chen-Kiang S.
Additional problematic data figure 7B Immunity. 1997 Jan;6(1):47-56. Proc Natl Acad Sci U S A. 2005 Jul 26;102(30):10640-5. Epub 2005 Jul 19. Wu KD1, Cho YS, Katz J, Ponomarev V, Chen-Kiang S, Danishefsky SJ, Moore MA. James Ewing Laboratory of Developmental Hematopoiesis, Memorial Sloan-Kettering Cancer Center, New York, NY 10021, USA. J Immunol. 2009 Feb 15;182(4):1810-7. doi: 10.4049/jimmunol.0713726. CDK2 phosphorylation of Smad2 disrupts TGF-beta transcriptional regulation in resistant primary bone marrow myeloma cells. Baughn LB1, Di Liberto M, Niesvizky R, Cho HJ, Jayabalan D, Lane J, Liu F, Chen-Kiang S.
Department of Pathology, Weill Medical College of Cornell University, New York, NY 10065, USA. Cancer Cell. 2012 Oct 16;22(4):506-523. doi: 10.1016/j.ccr.2012.09.003. Coordinated silencing of MYC-mediated miR-29 by HDAC3 and EZH2 as a therapeutic target of histone modification in aggressive B-Cell lymphomas. Zhang X#1,2, Zhao X#1, Fiskus W3, Lin J4, Lwin T1, Rao R3, Zhang Y2, Chan JC5, Fu K5, Marquez VE6, Chen-Kiang S7, Moscinski LC1, Seto E1, Dalton WS1, Wright KL1, Sotomayor E1, Bhalla K3, Tao J1. Departments of Malignant Hematology and Experimental Therapeutics, H. Lee Moffitt Cancer Center and Research Institute, Tampa, Florida 33613. Department of Immunology and Malignant Hematology, Tianjin Cancer Hospital, Tianjin, China. Experimental Therapeutics, University of Kansas Cancer Center, Kansas City, Kansas 66160. Dana-Farber Cancer Institute, Boston, MA 02115. Department of Pathology, University of Nebraska Medical Center, Omaha, NE 68198. Chemical Biology Laboratory, Center for Cancer Research, National Cancer Institute, Frederick, MD 21702. Department of Pathology, Weill-Cornell Medical College, New York, NY 10065. Same senior author as Cancer Cell. 2012 Oct 16;22(4):506-523. Blood. 2007 Sep 1;110(5):1631-8. Epub 2007 May 14. Cell adhesion induces p27Kip1-associated cell-cycle arrest through down-regulation of the SCFSkp2 ubiquitin ligase pathway in mantle-cell and other non-Hodgkin B-cell lymphomas. Lwin T1, Hazlehurst LA, Dessureault S, Lai R, Bai W, Sotomayor E, Moscinski LC, Dalton WS, Tao J. Department of Interdisciplinary Oncology and Experimental Therapeutics Program, H. Lee Moffitt Cancer Center and Research Institute at the University of South Florida, Tampa, FL 33613, USA. Leukemia. 2007 Jul;21(7):1521-31. Epub 2007 May 3. Bone marrow stromal cells prevent apoptosis of lymphoma cells by upregulation of anti-apoptotic proteins associated with activation of NF-kappaB (RelB/p52) in non-Hodgkin’s lymphoma cells. Lwin T1, Hazlehurst LA, Li Z, Dessureault S, Sotomayor E, Moscinski LC, Dalton WS, Tao J.
Oncogene. 2012 Jun 14;31(24):3002-3008. doi: 10.1038/onc.2011.470. Epub 2011 Oct 17. Myc represses miR-15a/miR-16-1 expression through recruitment of HDAC3 in mantle cell and other non-Hodgkin B-cell lymphomas. Zhang X#1,2, Chen X#1, Lin J1, Lwin T1, Wright G1, Moscinski LC1, Dalton WS1, Seto E1, Wright K1, Sotomayor E1, Tao J1. Department of Malignant Hematology, Molecular Oncology and Experimental Therapeutics Program, H Lee Moffitt Cancer Center and Research Institute at the University of South Florida, Tampa, FL, USA. Department of Immunology, Tianjin Cancer Institute and Hospital, Tianjin Medical University, Tianjin, China. Cell Cycle. 2013 Jun 15;12(12):1892-900. doi: 10.4161/cc.24928. Epub 2013 May 15. Chiron D1, Martin P, Di Liberto M, Huang X, Ely S, Lannutti BJ, Leonard JP, Mason CE, Chen-Kiang S.
Department of Pathology and Laboratory Medicine, Weill-Cornell Medical College, New York, NY, USA. Cell Cycle. 2013 Jun 15; 12(12): 1892–1900. Figure 4A. MINO cell panels. Cancer Discov. 2014 Sep;4(9):1022-35. doi: 10.1158/2159-8290.CD-14-0098. Epub 2014 Jul 31. Chiron D1, Di Liberto M1, Martin P2, Huang X1, Sharman J3, Blecua P4, Mathew S1, Vijay P5, Eng K5, Ali S6, Johnson A7, Chang B8, Ely S1, Elemento O4, Mason CE4, Leonard JP2, Chen-Kiang S9. Willamette Valley Cancer Institute and Research Center/US Oncology Research, Springfield, Oregon. Department of Physiology and Biophysics, Weill Cornell Medical College, New York, New York. Institute for Computational Biomedicine, Weill Cornell Medical College, New York, New York. Department of Physiology and Biophysics, Weill Cornell Medical College, New York, New York. Tri-Institutional Training Program in Computational Biology and Medicine, Weill Cornell Medical College, New York, New York. Department of Pathology and Laboratory Medicine, Weill Cornell Medical College, New York, New York. Graduate Program in Immunology and Microbial Pathogenesis, Weill Cornell Medical College, New York, New York. Additonal concerns figure 3A Cancer Discov. 2014 Sep;4(9):1022-35. Is it an unstated composite figure? Cancer Discov. 2014 Sep;4(9):1022-35 continued. Is the U.S. any better than Spain? Mutually exclusive cyclin-dependent kinase 4/cyclin D1 and cyclin-dependent kinase 6/cyclin D2 pairing inactivates retinoblastoma protein and promotes cell cycle dysregulation in multiple myeloma. Ely S1, Di Liberto M, Niesvizky R, Baughn LB, Cho HJ, Hatada EN, Knowles DM, Lane J, Chen-Kiang S.
Department of Pathology, Weill Medical College of Cornell University, New York, NY 10021, USA. Additional problematic data Cancer Res. 2005 Dec 15;65(24):11345-53. Nothing like a new brush. Massimo Loda, Chair Department of Pathology and Laboratory Medicine NewYork-Presbyterian/Weill Cornell Medicine. Mol Cell Biol. 1994 Jan;14(1):268-76. Fos and Jun repress transcription activation by NF-IL6 through association at the basic zipper region. Hsu W1, Kerppola TK, Chen PL, Curran T, Chen-Kiang S.
Brookdale Center for Molecular Biology, Mount Sinai School of Medicine, New York, New York 10029. Figure 4 Mol Cell Biol. 1994 Jan;14(1):268-76. The vertical, straight light strips on either side of the main F(1-380) G2 band do not seem natural. Given the low resolution the bands in the F(1-380) G2 and J(2-334) G2 lanes look very similar. Just so the Icahn Medical School at Mount Sinai does not feel left out. Mol Cell Biol. 2000 Mar;20(5):1723-32. Overexpression of kinase-associated phosphatase (KAP) in breast and prostate cancer and inhibition of the transformed phenotype by antisense KAP expression. Lee SW1, Reimer CL, Fang L, Iruela-Arispe ML, Aaronson SA. Department of Medicine, Beth Israel Deaconess Medical Center, Harvard Institutes of Medicine, Harvard Medical School, Boston, Massachusetts 02115, USA. Volume 20, no. 5, p. 1723–1732, 2000, https://doi.org/10.1128/MCB.20.5.1723-1732.2000. The American Society for Microbiology (ASM) and Molecular and Cellular Biology (MCB) are issuing this Expression of Concern to alert readers to questions that have been raised about the integrity of the data in this article. MCB has been notified by Harvard Medical School about potential image duplications affecting Fig. 5A. ASM has reviewed the figure and confirmed the suspected duplications. This figure was generated in the laboratory of the first author. This Expression of Concern is issued pending the outcome of an appeal to the Office of Research Integrity (ORI) and will be updated accordingly. Welcome to the world of Blood! Arsenic induces apoptosis of multidrug-resistant human myeloid leukemia cells that express Bcr-Abl or overexpress MDR, MRP, Bcl-2, or Bcl-x(L). Perkins C1, Kim CN, Fang G, Bhalla KN. Division of Clinical and Translational Research, Sylvester Comprehensive Cancer Center, University of Miami School of Medicine, Miami, FL 33136, USA. Welcome to Cancer Research world! Cancer Res. 2000 Mar 15;60(6):1645-53. The role of Apaf-1, caspase-9, and bid proteins in etoposide- or paclitaxel-induced mitochondrial events during apoptosis. Perkins CL1, Fang G, Kim CN, Bhalla KN. Division of Clinical and Translational Research, Sylvester Comprehensive Cancer Center, University of Miami School of Medicine, Florida 33136, USA. Is it all part of community standards?